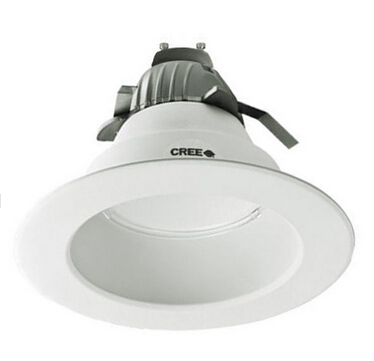 Featuring Cree’s TrueWhite Technology, this 9.5-watt downlight makes the best impression in lighting with enhanced red and unsaturated yellow light levels. The halogen white, 3000K color temperature is consistently dispersed in 625 lumens, while saving up to 85 percent in energy costs. The Energy Star qualified downlight has a rated lifetime of 50,000 hours and is designed to be easily installed in 6-inch recessed cans with a GU24 base.